Hope we are all well...and had a good week...weather here has changed...not any rain yet ...but they say Monday night we will have a down pour....we will have to wait and see!!!!! This image is one of my favourites. It makes fabulous cards. I love the colours and the tree in the front completes the scene. Wonderful work. Beautiful card and oh so thin! Perfect to help keep the postage costs down! Perfect card for the challenge Sylvie. Love the colours and image. 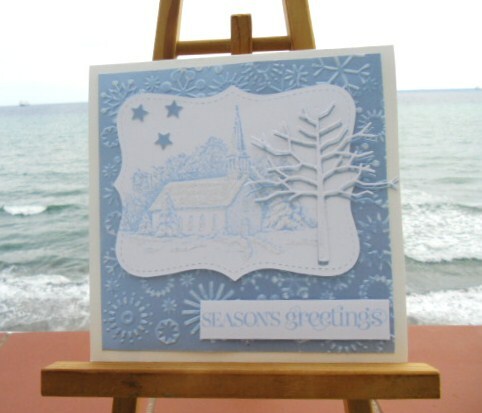 Hi Sylvie this is gorgeous what a beautiful peaceful Christmas scene, the colours and the design look truly wonderful.